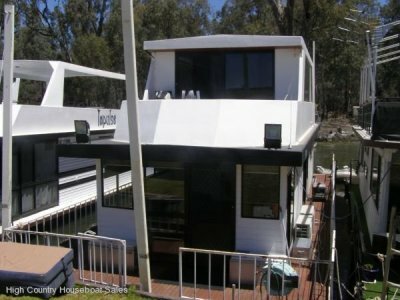 The kids are excited; the dog is excited as we all jump in the car and head for Eildon for a fun weekend of good times together on our family holiday home on the water. 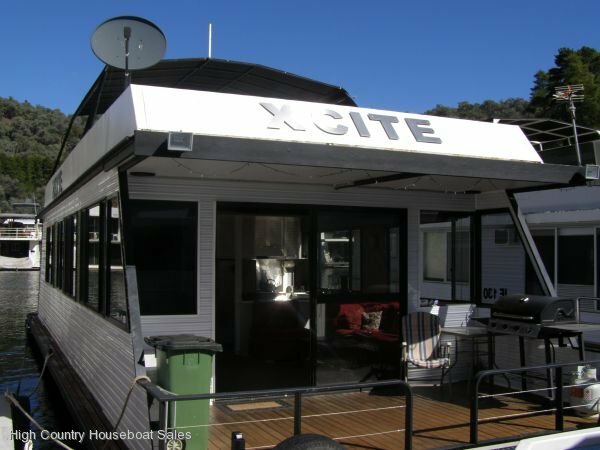 Xcite provides an open and bright front lounge as the high ceiling lets the mountains; the forest and the sun come right into the houseboat. 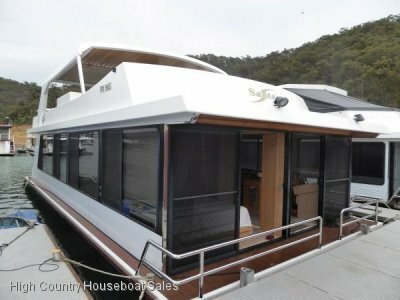 With three bedrooms there is plenty of bedding for the family. The upstairs deck is great for relaxing or just catching the sun. Get excited and ask to inspect Xcite this weekend. BR2: Double bed; Wardrobe; bathroom access. Bathroom: Shower with hip bath; Vanity. Kitchen: Electrolux fridge / freezer gas; Chef oven, grill, 4 burner cooktop, rangehood; Microwave oven; Servery. 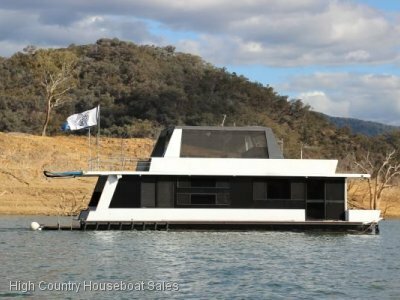 POWER: Einhecc 4.7kva generator; Solar panels x 2 + 1; Powertech PV Charge Controller MP3129; House batteries x 3; Enja 30amp battery charger; Volvo Penta 130hp 4 cyl; Motor start battery.